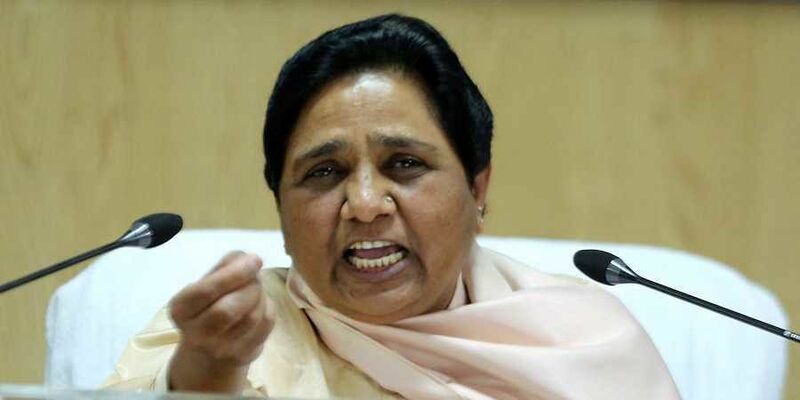 LUCKNOW: Slapped with a 48-hour ban on campaigning by the EC for her "provocative" communal remarks, BSP supremo Mayawati Monday alleged the decision appears to have been "taken under pressure" and it will be remembered as a "black day". "The intention behind this order is clear that as BSP chief I am not able to make an appeal to the people to uproot the BJP from power. The EC knows that campaigning for the second phase ends Tuesday evening and the Agra joint rally was scheduled. Now, I will not be able to make an appeal to the voters of Agra, Mathura and Fatehpur. "Would such a sudden order, in a democratic set up like India, not be called murder of democracy," she posed. The BSP chief said that she had complete faith in her followers and supporters who would understand the intention behind the order and will cast their votes fearlessly in favour of the alliance. Prime Minister Narendra Modi's remarks asking first-time voters to dedicate their vote to those who carried out the Balakot air strike are under examination of the poll panel. About the rally in Agra scheduled Tuesday, Mayawati said senior BSP leaders will go there with her message.